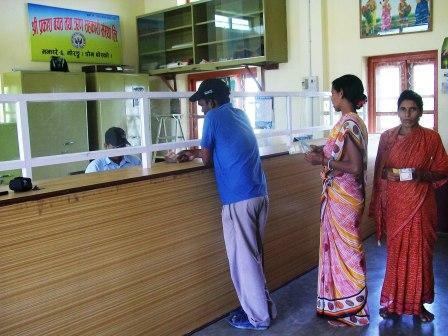 The village community of Sirsia set up a savings and credit cooperative with the support of Don Bosco. The Saving and Credit Cooperatives are locally known as Swayam Sahayog Bachat Samuh, the majority of them are women. The cooperative pays 9% interest for saving and takes 15% interest for credit. This rate is comparatively low and frees the farmers from the incredible high rates of local money lenders. The marketing of agriculture faces great difficulties when it comes to the access of markets. These markets often are far away from the production area, such as those of the cities of Chimoio or Beira, Even the provincial capital of Moatize district, Tete, is too far for most producers. Therefore a program was initiated to raise awareness about saving money in groups. With the money gained, products can be bought by individuals or by the group. During the trainings of “contact farmers” topics like financial management, saving, accessibility of markets and transport of agricultural products were included. The idea is that these “contact-farmers” will spread their combined knowledge in their groups of horticulture production. This way, the groups interested are accompanied in the process of organizing and saving first and on the utilization of the money gained in form of credits later. 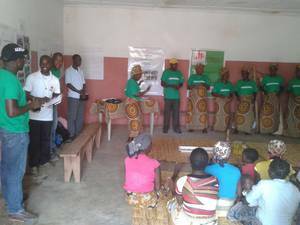 The programme was extended by starting a pilot activity by establishing 8 savings groups with 128 members. Women make up 62% of all members and have managed to save about EUR 4.410 which is an average of EUR 39 per woman. Men managed to save EUR 34 on average and a total of EUR 2.370. This is a significant achievement considering that 69% of the Mozambican population live below the poverty line of 1.90 USD/day and women often represent the poorer part of the population. Out of the 128 savings group members 48% took out a loan with an average loan value of EUR 142.